stereo video DVD with split-track QuickTime (.mov) files; USB flash drive has the same songs as stereo & split-track .mov files. 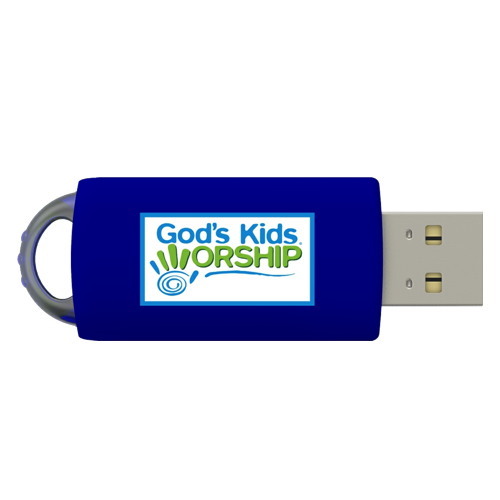 Classic worship songs performed by God’s Kids Worship Band, with all kids voices and modern arrangements. These lyrics & music videos are great for worship or quick & easy performances. All songs are made for kids energy, attention span, and vocal range. Free streaming rehearsal video links for all songs here. Like Awesome Classics? See more Simple Worship!